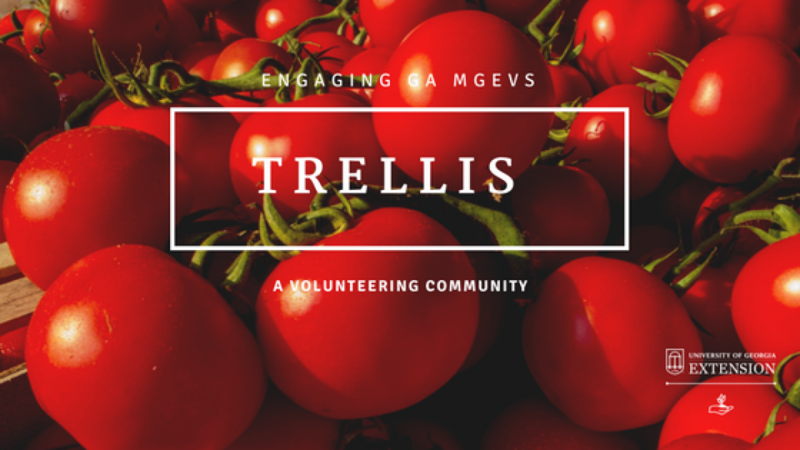 Trellis | Considering a Help Desk? Discuss with your agent. Discuss the idea of a “help desk” or “plant clinic” station with your local agent. Is this a resource that is needed? Will it benefit the local office and community? Can the agent provide back-up for hard-to-answer questions or for topics on which MGEVs are not trained? Create a schedule. If you are in a county with a large population or call/visit volume, you may need to offer hours to the public five days a week. If you have a small amount of office traffic, consider choosing two time slots a week. Ask the agent or the office staff when the peak number of questions come in and schedule volunteer services during those times. Set a schedule, find volunteers to staff the station during these hours, and promote the schedule to the public. Decide on a location. Is there space for a station in the office? Should these types of services be offered at a public venue, such as a shopping mall or a farmers’ market? Where will the public find your service? Where will you best meet the public? Gather supplies. You will need basic supplies, such as note paper, message pads, and pencils, when conducting a clinic or help desk. You will need reference materials to research answers. A Georgia Pest Management Handbook is essential for making any sort of pesticide recommendations for a correctly identified pest or disease. Stock your clinic box with soil test kits and extra copies of seasonal or timely Extension publications. 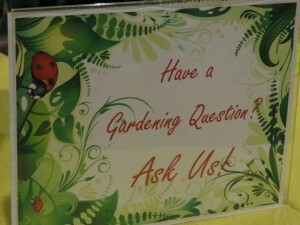 Include a UGA MGEV program “Ask a Master Gardener” banner to identify your station. Activity reports will help capture the number of people you have helped during each clinic or session. Be sure to pass along to the agent any questions for which you are not trained to answer or that you cannot answer. If you are creating a station at the Extension office, it is worthwhile to invest in reference texts. Watch for a list of recommended texts on Trellis. Other supplies, such as a hand lens, magnifying glass, tweezers, probes, alcohol, or a microscope, can be added over time. Market your services. Make the public aware of this fantastic service! Promote your schedule in local newspapers, community blogs and Facebook pages, and any other place where people go for information. 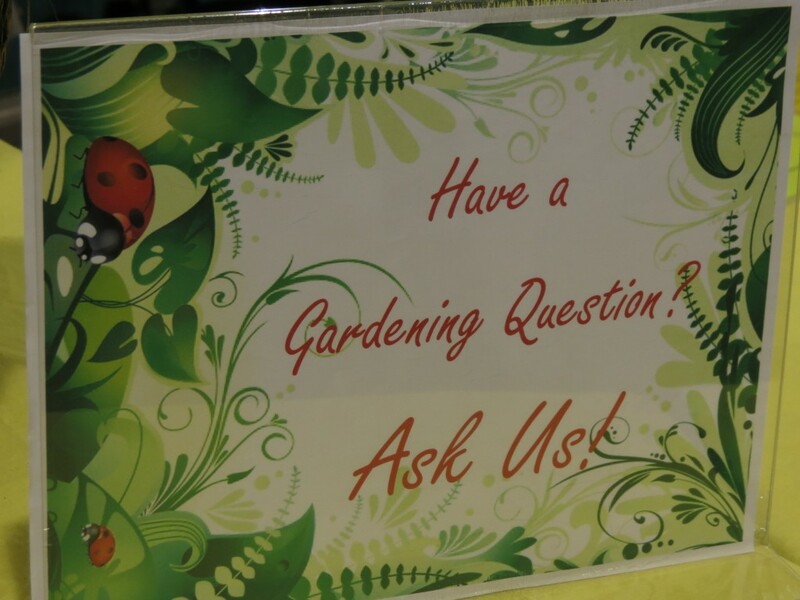 Schedule clinics in locations where you will encounter lots of people who may have gardening questions. Work with the local agent to determine the most effective locations for these types of events. Make sure that the agent and local office know when and where MGEVs will be hosting a clinic or help desk so that they can respond to calls to the office. Keep track of your results! Using a logbook or other activity record, you can make sure that questions are answered in a timely manner. If questions cannot be answered in the current shift, they can be passed on to the next scheduled volunteers. Keep a record of the contacts that have received services from your help desk or clinic so that your agent can report this each month through GA COUNTS. It will also help you to see patterns and trends in questions and volume. Keep your skills sharp! Working a help desk or clinic makes you quickly aware of what you don’t know. Be sure to ask your agent for help, perhaps a special training session for MGEVs working the clinics or help desks or a heads-up on seasonal items about which you will experience a high volume of calls. Look for Advanced Training in diagnostic topics that will help you answer more questions. Be sure to share your Help Desk or Plant Clinic photos on the Master Gardener Facebook page!